F.lux: Hey Apple you copied us! You may not realize it, but your smartphone is keeping you up at night. Specifically, the bright blue light emitted by the display could be tricking your brain into thinking its still daytime even when it’s dark outside. 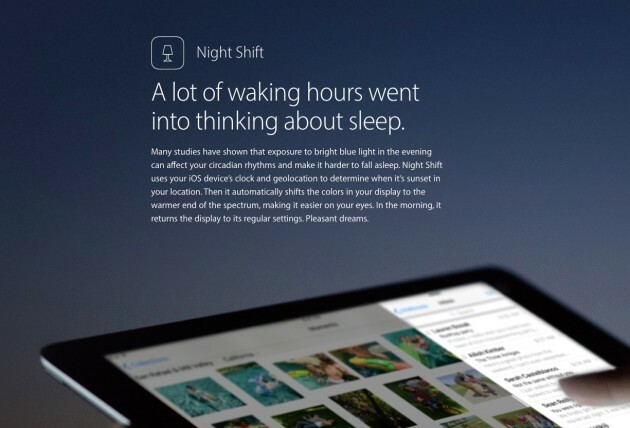 This week Apple unveiled a solution called Night Shift as part of its latest beta, but one company is calling out the Cupertino giant for playing dirty. F.lux, which was recently blocked from iOS devices, has published a blog post calling itself the “original innovators” and asking for a fair chance to compete in the App Store. F.lux has been around since 2009 and offers a similar experience to Night Shift with tons of customization options. It’s available for OS X, Windows and Linux computers, along with jailbroken iOS devices. Last year the company found a workaround to run on regular iPhones and iPads, but Apple quickly shut that down. Now that iOS is set to come with its own version of the service, it seems only fair that F.lux should be allowed into the App Store as well. Whether Apple will give in or even acknowledge the request seems doubtful, but hopefully the Cupertino company will surprise us. Posted on January 27, 2016 Author sristyCategories APPSTags F.lux: Hey Apple, you copied us! 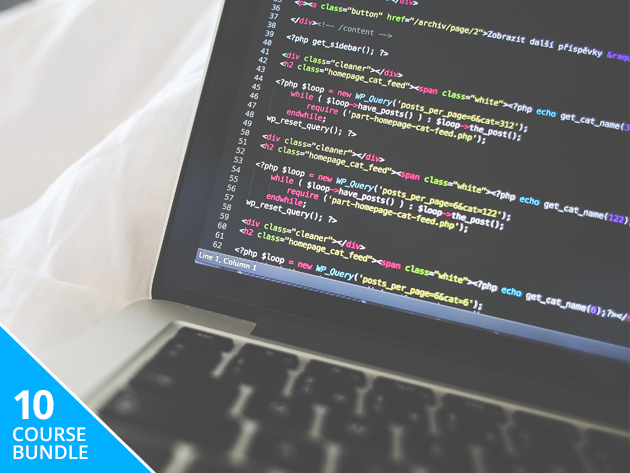 The Complete 2016 Coder Bundle teaches from scratch all the web and app development skills needed for turning pro this year. Best of all, you can currently pay what you want for this ten-course syllabus via TechnoBuffalo Deals. To take advantage of the deal, head over to TechnoBuffalo Deals and name your price on the Android and AngularJS courses. Beat the average price paid, and you will unlock the full bundle. Over the past few years Apple has really marketed its iPhone as a creative tool, highlighting how the device is used by photographers, videographers and musicians. It’s the latter of which Apple has created a new app for, endearing the iPhone as the go-to device for singers and artists. The new app is called Music Memos, and it’s essentially Voice Memos imbued with some Garage Band powers. It’s designed to be quick and easy, allowing anyone—anyone!—with an iPhone to make sweet, sweet music. Music Memos is akin to someone making demos in their basement on tape. The interface is pretty straightforward, presenting users with a big red record button. Hit that, strum some tunes, and you’re on your way to recording a Top 100; the app also features an “auto” mode, which will record whenever it hears music, and stop when you stop. 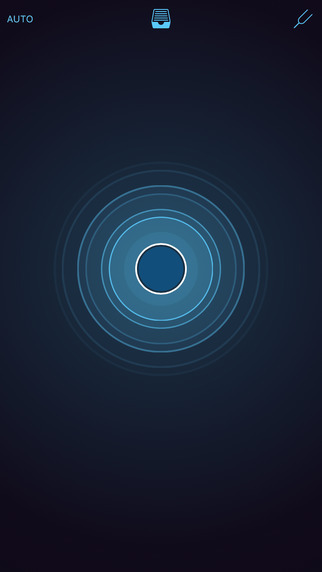 When you’re recording, the app will show a waveform toward the bottom of the interface, indicating that Memos hears what you’re doing. After you record your next jam, Memos will transition to an editing screen, where users can add stuff like bass or drums. The app will dynamically match the beat of whatever it is you recorded, which means you won’t have to record the different parts separately. It’s super simple, and will allow users to get their music recorded and put onto the Internet in a matter of minutes. Of course, if you want to add a little more production, you can import your Music Memos recordings over to Garage Band, which also received a host of updates today. If you’ve used Voice Memos before, Music Memos is pretty similar, catering to musicians who want to do quick and dirty recordings when inspiration strikes. There’s even a built-in guitar tuner. Music Memos is out beginning today, and is available for free. Autodesk is a name synonymous with digital creativity. The developer is behind the outstanding SketchBook illustration studio, and Pixlr, a versatile image editor. 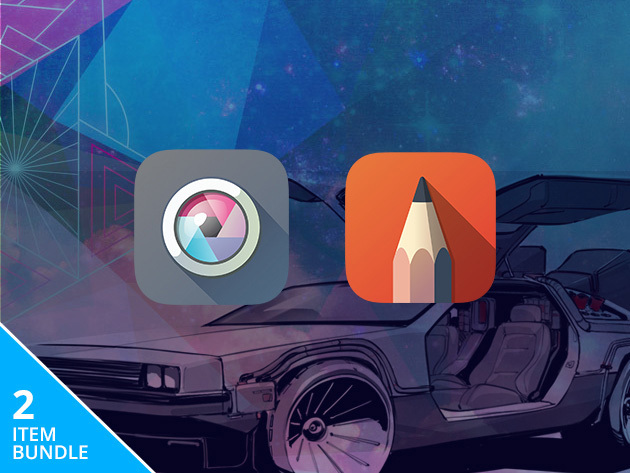 Right now, you can grab Pro subscriptions to both apps for $19.99. This one-year upgrade gives you access to the full set of features in each app. For SketchBook, that means you get access to a library of over 100 brushes for drawing and painting. Each brush can be fine-tuned to meet your needs, and you have full layer control for stunningly detailed art. Along with clever guides and transform tools, you get free access to the Copic Color Library with your subscription. With Pixlr Pro, you get over 100 effects, 340 overlays and 200 borders, along with a range of adjustment options. You have 11 double exposure modes for blending together images, and selective adjustments allow you to brush in extra color or contrast where you need it. The current deal takes 55% off the standard asking price for the Pro subscriptions, with minor updates included.